Northeast Kingdom Vermont, Northeast, Kingdom, Vermont, VT, B&B, Bed & Breakfast, Bed & Breakfast, Gift Shop, Antiques, Tavern, Used Furniture, Snowmobile Access, Private Baths, Free High Speed Internet access, Snowmobile trails, Snowmobile, trail, parking, access, VAST, Vermont Association of Snow Travelers, system, Verde, Mont, Verde Mont, picnic, basket, route two, route, two, 2, northern, New England, USA, United States, United States of America, country, rural, adventure, scenic, Maple, Grove, Maple Syrup, Farms, photography, views, convenient, travel, info, information, website, web site, web, site, sites, farming, fishing, ski-doo, skidoo, skimobile, trailer, bath, shower, heated, warm, barn, barns, Inns, Inn, country inns, accommodations, lodging, antiques, St. Johnsbury, ski, breakfast, package, packages, getaway, skimobile, bed and breakfast, echo ledge farm, echo ledge farm inn, travel, getaways, Echo ledge Inn, Echo, Ledge. Click here to go to the Echo Ledge Farm Inn web site. Approaching from the west, from Interstates 91 and 93 and Saint Johnsbury, Vermont, USA. You're almost ready to pull in the driveway... A horseshoe for easy pull through with a trailer. The view after hiking up in the field in back of Echo Ledge Farm Inn. A farm across the river seen from the same spot. Copyright 2006 by Ed Sanders. Northeast Kingdom Vermont, Northeast, Kingdom, Vermont, VT, B&B, Bed & Breakfast, Bed & Breakfast, Gift Shop, Antiques, Tavern, Used Furniture, Snowmobile Access, Private Baths, Free High Speed Internet access, Snowmobile trails, Snowmobile, trail, parking, access, VAST, Vermont Association of Snow Travelers, system, Verde, Mont, Verde Mont, picnic, basket, route two, route, two, 2, northern, New England, USA, United States, United States of America, country, rural, adventure, scenic, Maple, Grove, Maple Syrup, Farms, photography, views, convenient, travel, info, information, website, web site, web, site, sites, farming, fishing, ski-doo, skidoo, skimobile, trailer, bath, shower, heated, warm, barn, barns, Inns, Inn, country inns, accommodations, lodging, antiques, St. Johnsbury, ski, breakfast, package, packages, getaway, skimobile, bed and breakfast, echo ledge farm, echo ledge farm inn, travel, getaways, Echo ledge Inn, Echo, Ledge. Northeast Kingdom Vermont, Northeast, Kingdom, Vermont, VT, B&B, Bed & Breakfast, Bed & Breakfast, Gift Shop, Antiques, Tavern, Used Furniture, Snowmobile Access, Private Baths, Free High Speed Internet access, Snowmobile trails, Snowmobile, trail, parking, access, VAST, Vermont Association of Snow Travelers, system, Verde, Mont, Verde Mont, picnic, basket, route two, route, two, 2, northern, New England, USA, United States, United States of America, country, rural, adventure, scenic, Maple, Grove, Maple Syrup, Farms, photography, views, convenient, travel, info, information, website, web site, web, site, sites, farming, fishing, ski-doo, skidoo, skimobile, trailer, bath, shower, heated, warm, barn, barns, Inns, Inn, country inns, accommodations, lodging, antiques, St. Johnsbury, ski, breakfast, package, packages, getaway, skimobile, bed and breakfast, echo ledge farm, echo ledge farm inn, travel, getaways, Echo ledge Inn, Echo, Ledge. Northeast Kingdom Vermont, Northeast, Kingdom, Vermont, VT, B&B, Bed & Breakfast, Bed & Breakfast, Gift Shop, Antiques, Tavern, Used Furniture, Snowmobile Access, Private Baths, Free High Speed Internet access, Snowmobile trails, Snowmobile, trail, parking, access, VAST, Vermont Association of Snow Travelers, system, Verde, Mont, Verde Mont, picnic, basket, route two, route, two, 2, northern, New England, USA, United States, United States of America, country, rural, adventure, scenic, Maple, Grove, Maple Syrup, Farms, photography, views, convenient, travel, info, information, website, web site, web, site, sites, farming, fishing, ski-doo, skidoo, skimobile, trailer, bath, shower, heated, warm, barn, barns, Inns, Inn, country inns, accommodations, lodging, antiques, St. Johnsbury, ski, breakfast, package, packages, getaway, skimobile, bed and breakfast, echo ledge farm, echo ledge farm inn, travel, getaways, Echo ledge Inn, Echo, Ledge. Northeast Kingdom Vermont, Northeast, Kingdom, Vermont, VT, B&B, Bed & Breakfast, Bed & Breakfast, Gift Shop, Antiques, Tavern, Used Furniture, Snowmobile Access, Private Baths, Free High Speed Internet access, Snowmobile trails, Snowmobile, trail, parking, access, VAST, Vermont Association of Snow Travelers, system, Verde, Mont, Verde Mont, picnic, basket, route two, route, two, 2, northern, New England, USA, United States, United States of America, country, rural, adventure, scenic, Maple, Grove, Maple Syrup, Farms, photography, views, convenient, travel, info, information, website, web site, web, site, sites, farming, fishing, ski-doo, skidoo, skimobile, trailer, bath, shower, heated, warm, barn, barns, Inns, Inn, country inns, accommodations, lodging, antiques, St. Johnsbury, ski, breakfast, package, packages, getaway, skimobile, bed and breakfast, echo ledge farm, echo ledge farm inn, travel, getaways, Echo ledge Inn, Echo, Ledge. Northeast Kingdom Vermont, Northeast, Kingdom, Vermont, VT, B&B, Bed & Breakfast, Bed & Breakfast, Gift Shop, Antiques, Tavern, Used Furniture, Snowmobile Access, Private Baths, Free High Speed Internet access, Snowmobile trails, Snowmobile, trail, parking, access, VAST, Vermont Association of Snow Travelers, system, Verde, Mont, Verde Mont, picnic, basket, route two, route, two, 2, northern, New England, USA, United States, United States of America, country, rural, adventure, scenic, Maple, Grove, Maple Syrup, Farms, photography, views, convenient, travel, info, information, website, web site, web, site, sites, farming, fishing, ski-doo, skidoo, skimobile, trailer, bath, shower, heated, warm, barn, barns, Inns, Inn, country inns, accommodations, lodging, antiques, St. Johnsbury, ski, breakfast, package, packages, getaway, skimobile, bed and breakfast, echo ledge farm, echo ledge farm inn, travel, getaways, Echo ledge Inn, Echo, Ledge. Northeast Kingdom Vermont, Northeast, Kingdom, Vermont, VT, B&B, Bed & Breakfast, Bed & Breakfast, Gift Shop, Antiques, Tavern, Used Furniture, Snowmobile Access, Private Baths, Free High Speed Internet access, Snowmobile trails, Snowmobile, trail, parking, access, VAST, Vermont Association of Snow Travelers, system, Verde, Mont, Verde Mont, picnic, basket, route two, route, two, 2, northern, New England, USA, United States, United States of America, country, rural, adventure, scenic, Maple, Grove, Maple Syrup, Farms, photography, views, convenient, travel, info, information, website, web site, web, site, sites, farming, fishing, ski-doo, skidoo, skimobile, trailer, bath, shower, heated, warm, barn, barns, Inns, Inn, country inns, accommodations, lodging, antiques, St. Johnsbury, ski, breakfast, package, packages, getaway, skimobile, bed and breakfast, echo ledge farm, echo ledge farm inn, travel, getaways, Echo ledge Inn, Echo, Ledge. Northeast Kingdom Vermont, Northeast, Kingdom, Vermont, VT, B&B, Bed & Breakfast, Bed & Breakfast, Gift Shop, Antiques, Tavern, Used Furniture, Snowmobile Access, Private Baths, Free High Speed Internet access, Snowmobile trails, Snowmobile, trail, parking, access, VAST, Vermont Association of Snow Travelers, system, Verde, Mont, Verde Mont, picnic, basket, route two, route, two, 2, northern, New England, USA, United States, United States of America, country, rural, adventure, scenic, Maple, Grove, Maple Syrup, Farms, photography, views, convenient, travel, info, information, website, web site, web, site, sites, farming, fishing, ski-doo, skidoo, skimobile, trailer, bath, shower, heated, warm, barn, barns, Inns, Inn, country inns, accommodations, lodging, antiques, St. Johnsbury, ski, breakfast, package, packages, getaway, skimobile, bed and breakfast, echo ledge farm, echo ledge farm inn, travel, getaways, Echo ledge Inn, Echo, Ledge. Northeast Kingdom Vermont, Northeast, Kingdom, Vermont, VT, B&B, Bed & Breakfast, Bed & Breakfast, Gift Shop, Antiques, Tavern, Used Furniture, Snowmobile Access, Private Baths, Free High Speed Internet access, Snowmobile trails, Snowmobile, trail, parking, access, VAST, Vermont Association of Snow Travelers, system, Verde, Mont, Verde Mont, picnic, basket, route two, route, two, 2, northern, New England, USA, United States, United States of America, country, rural, adventure, scenic, Maple, Grove, Maple Syrup, Farms, photography, views, convenient, travel, info, information, website, web site, web, site, sites, farming, fishing, ski-doo, skidoo, skimobile, trailer, bath, shower, heated, warm, barn, barns, Inns, Inn, country inns, accommodations, lodging, antiques, St. Johnsbury, ski, breakfast, package, packages, getaway, skimobile, bed and breakfast, echo ledge farm, echo ledge farm inn, travel, getaways, Echo ledge Inn, Echo, Ledge. Northeast Kingdom Vermont, Northeast, Kingdom, Vermont, VT, B&B, Bed & Breakfast, Bed & Breakfast, Gift Shop, Antiques, Tavern, Used Furniture, Snowmobile Access, Private Baths, Free High Speed Internet access, Snowmobile trails, Snowmobile, trail, parking, access, VAST, Vermont Association of Snow Travelers, system, Verde, Mont, Verde Mont, picnic, basket, route two, route, two, 2, northern, New England, USA, United States, United States of America, country, rural, adventure, scenic, Maple, Grove, Maple Syrup, Farms, photography, views, convenient, travel, info, information, website, web site, web, site, sites, farming, fishing, ski-doo, skidoo, skimobile, trailer, bath, shower, heated, warm, barn, barns, Inns, Inn, country inns, accommodations, lodging, antiques, St. Johnsbury, ski, breakfast, package, packages, getaway, skimobile, bed and breakfast, echo ledge farm, echo ledge farm inn, travel, getaways, Echo ledge Inn, Echo, Ledge. Northeast Kingdom Vermont, Northeast, Kingdom, Vermont, VT, B&B, Bed & Breakfast, Bed & Breakfast, Gift Shop, Antiques, Tavern, Used Furniture, Snowmobile Access, Private Baths, Free High Speed Internet access, Snowmobile trails, Snowmobile, trail, parking, access, VAST, Vermont Association of Snow Travelers, system, Verde, Mont, Verde Mont, picnic, basket, route two, route, two, 2, northern, New England, USA, United States, United States of America, country, rural, adventure, scenic, Maple, Grove, Maple Syrup, Farms, photography, views, convenient, travel, info, information, website, web site, web, site, sites, farming, fishing, ski-doo, skidoo, skimobile, trailer, bath, shower, heated, warm, barn, barns, Inns, Inn, country inns, accommodations, lodging, antiques, St. Johnsbury, ski, breakfast, package, packages, getaway, skimobile, bed and breakfast, echo ledge farm, echo ledge farm inn, travel, getaways, Echo ledge Inn, Echo, Ledge. Northeast Kingdom Vermont, Northeast, Kingdom, Vermont, VT, B&B, Bed & Breakfast, Bed & Breakfast, Gift Shop, Antiques, Tavern, Used Furniture, Snowmobile Access, Private Baths, Free High Speed Internet access, Snowmobile trails, Snowmobile, trail, parking, access, VAST, Vermont Association of Snow Travelers, system, Verde, Mont, Verde Mont, picnic, basket, route two, route, two, 2, northern, New England, USA, United States, United States of America, country, rural, adventure, scenic, Maple, Grove, Maple Syrup, Farms, photography, views, convenient, travel, info, information, website, web site, web, site, sites, farming, fishing, ski-doo, skidoo, skimobile, trailer, bath, shower, heated, warm, barn, barns, Inns, Inn, country inns, accommodations, lodging, antiques, St. Johnsbury, ski, breakfast, package, packages, getaway, skimobile, bed and breakfast, echo ledge farm, echo ledge farm inn, travel, getaways, Echo ledge Inn, Echo, Ledge. Northeast Kingdom Vermont, Northeast, Kingdom, Vermont, VT, B&B, Bed & Breakfast, Bed & Breakfast, Gift Shop, Antiques, Tavern, Used Furniture, Snowmobile Access, Private Baths, Free High Speed Internet access, Snowmobile trails, Snowmobile, trail, parking, access, VAST, Vermont Association of Snow Travelers, system, Verde, Mont, Verde Mont, picnic, basket, route two, route, two, 2, northern, New England, USA, United States, United States of America, country, rural, adventure, scenic, Maple, Grove, Maple Syrup, Farms, photography, views, convenient, travel, info, information, website, web site, web, site, sites, farming, fishing, ski-doo, skidoo, skimobile, trailer, bath, shower, heated, warm, barn, barns, Inns, Inn, country inns, accommodations, lodging, antiques, St. Johnsbury, ski, breakfast, package, packages, getaway, skimobile, bed and breakfast, echo ledge farm, echo ledge farm inn, travel, getaways, Echo ledge Inn, Echo, Ledge. Northeast Kingdom Vermont, Northeast, Kingdom, Vermont, VT, B&B, Bed & Breakfast, Bed & Breakfast, Gift Shop, Antiques, Tavern, Used Furniture, Snowmobile Access, Private Baths, Free High Speed Internet access, Snowmobile trails, Snowmobile, trail, parking, access, VAST, Vermont Association of Snow Travelers, system, Verde, Mont, Verde Mont, picnic, basket, route two, route, two, 2, northern, New England, USA, United States, United States of America, country, rural, adventure, scenic, Maple, Grove, Maple Syrup, Farms, photography, views, convenient, travel, info, information, website, web site, web, site, sites, farming, fishing, ski-doo, skidoo, skimobile, trailer, bath, shower, heated, warm, barn, barns, Inns, Inn, country inns, accommodations, lodging, antiques, St. Johnsbury, ski, breakfast, package, packages, getaway, skimobile, bed and breakfast, echo ledge farm, echo ledge farm inn, travel, getaways, Echo ledge Inn, Echo, Ledge. Northeast Kingdom Vermont, Northeast, Kingdom, Vermont, VT, B&B, Bed & Breakfast, Bed & Breakfast, Gift Shop, Antiques, Tavern, Used Furniture, Snowmobile Access, Private Baths, Free High Speed Internet access, Snowmobile trails, Snowmobile, trail, parking, access, VAST, Vermont Association of Snow Travelers, system, Verde, Mont, Verde Mont, picnic, basket, route two, route, two, 2, northern, New England, USA, United States, United States of America, country, rural, adventure, scenic, Maple, Grove, Maple Syrup, Farms, photography, views, convenient, travel, info, information, website, web site, web, site, sites, farming, fishing, ski-doo, skidoo, skimobile, trailer, bath, shower, heated, warm, barn, barns, Inns, Inn, country inns, accommodations, lodging, antiques, St. Johnsbury, ski, breakfast, package, packages, getaway, skimobile, bed and breakfast, echo ledge farm, echo ledge farm inn, travel, getaways, Echo ledge Inn, Echo, Ledge. Northeast Kingdom Vermont, Northeast, Kingdom, Vermont, VT, B&B, Bed & Breakfast, Bed & Breakfast, Gift Shop, Antiques, Tavern, Used Furniture, Snowmobile Access, Private Baths, Free High Speed Internet access, Snowmobile trails, Snowmobile, trail, parking, access, VAST, Vermont Association of Snow Travelers, system, Verde, Mont, Verde Mont, picnic, basket, route two, route, two, 2, northern, New England, USA, United States, United States of America, country, rural, adventure, scenic, Maple, Grove, Maple Syrup, Farms, photography, views, convenient, travel, info, information, website, web site, web, site, sites, farming, fishing, ski-doo, skidoo, skimobile, trailer, bath, shower, heated, warm, barn, barns, Inns, Inn, country inns, accommodations, lodging, antiques, St. Johnsbury, ski, breakfast, package, packages, getaway, skimobile, bed and breakfast, echo ledge farm, echo ledge farm inn, travel, getaways, Echo ledge Inn, Echo, Ledge. Northeast Kingdom Vermont, Northeast, Kingdom, Vermont, VT, B&B, Bed & Breakfast, Bed & Breakfast, Gift Shop, Antiques, Tavern, Used Furniture, Snowmobile Access, Private Baths, Free High Speed Internet access, Snowmobile trails, Snowmobile, trail, parking, access, VAST, Vermont Association of Snow Travelers, system, Verde, Mont, Verde Mont, picnic, basket, route two, route, two, 2, northern, New England, USA, United States, United States of America, country, rural, adventure, scenic, Maple, Grove, Maple Syrup, Farms, photography, views, convenient, travel, info, information, website, web site, web, site, sites, farming, fishing, ski-doo, skidoo, skimobile, trailer, bath, shower, heated, warm, barn, barns, Inns, Inn, country inns, accommodations, lodging, antiques, St. Johnsbury, ski, breakfast, package, packages, getaway, skimobile, bed and breakfast, echo ledge farm, echo ledge farm inn, travel, getaways, Echo ledge Inn, Echo, Ledge. Northeast Kingdom Vermont, Northeast, Kingdom, Vermont, VT, B&B, Bed & Breakfast, Bed & Breakfast, Gift Shop, Antiques, Tavern, Used Furniture, Snowmobile Access, Private Baths, Free High Speed Internet access, Snowmobile trails, Snowmobile, trail, parking, access, VAST, Vermont Association of Snow Travelers, system, Verde, Mont, Verde Mont, picnic, basket, route two, route, two, 2, northern, New England, USA, United States, United States of America, country, rural, adventure, scenic, Maple, Grove, Maple Syrup, Farms, photography, views, convenient, travel, info, information, website, web site, web, site, sites, farming, fishing, ski-doo, skidoo, skimobile, trailer, bath, shower, heated, warm, barn, barns, Inns, Inn, country inns, accommodations, lodging, antiques, St. Johnsbury, ski, breakfast, package, packages, getaway, skimobile, bed and breakfast, echo ledge farm, echo ledge farm inn, travel, getaways, Echo ledge Inn, Echo, Ledge. Northeast Kingdom Vermont, Northeast, Kingdom, Vermont, VT, B&B, Bed & Breakfast, Bed & Breakfast, Gift Shop, Antiques, Tavern, Used Furniture, Snowmobile Access, Private Baths, Free High Speed Internet access, Snowmobile trails, Snowmobile, trail, parking, access, VAST, Vermont Association of Snow Travelers, system, Verde, Mont, Verde Mont, picnic, basket, route two, route, two, 2, northern, New England, USA, United States, United States of America, country, rural, adventure, scenic, Maple, Grove, Maple Syrup, Farms, photography, views, convenient, travel, info, information, website, web site, web, site, sites, farming, fishing, ski-doo, skidoo, skimobile, trailer, bath, shower, heated, warm, barn, barns, Inns, Inn, country inns, accommodations, lodging, antiques, St. Johnsbury, ski, breakfast, package, packages, getaway, skimobile, bed and breakfast, echo ledge farm, echo ledge farm inn, travel, getaways, Echo ledge Inn, Echo, Ledge. Northeast Kingdom Vermont, Northeast, Kingdom, Vermont, VT, B&B, Bed & Breakfast, Bed & Breakfast, Gift Shop, Antiques, Tavern, Used Furniture, Snowmobile Access, Private Baths, Free High Speed Internet access, Snowmobile trails, Snowmobile, trail, parking, access, VAST, Vermont Association of Snow Travelers, system, Verde, Mont, Verde Mont, picnic, basket, route two, route, two, 2, northern, New England, USA, United States, United States of America, country, rural, adventure, scenic, Maple, Grove, Maple Syrup, Farms, photography, views, convenient, travel, info, information, website, web site, web, site, sites, farming, fishing, ski-doo, skidoo, skimobile, trailer, bath, shower, heated, warm, barn, barns, Inns, Inn, country inns, accommodations, lodging, antiques, St. Johnsbury, ski, breakfast, package, packages, getaway, skimobile, bed and breakfast, echo ledge farm, echo ledge farm inn, travel, getaways, Echo ledge Inn, Echo, Ledge. Northeast Kingdom Vermont, Northeast, Kingdom, Vermont, VT, B&B, Bed & Breakfast, Bed & Breakfast, Gift Shop, Antiques, Tavern, Used Furniture, Snowmobile Access, Private Baths, Free High Speed Internet access, Snowmobile trails, Snowmobile, trail, parking, access, VAST, Vermont Association of Snow Travelers, system, Verde, Mont, Verde Mont, picnic, basket, route two, route, two, 2, northern, New England, USA, United States, United States of America, country, rural, adventure, scenic, Maple, Grove, Maple Syrup, Farms, photography, views, convenient, travel, info, information, website, web site, web, site, sites, farming, fishing, ski-doo, skidoo, skimobile, trailer, bath, shower, heated, warm, barn, barns, Inns, Inn, country inns, accommodations, lodging, antiques, St. Johnsbury, ski, breakfast, package, packages, getaway, skimobile, bed and breakfast, echo ledge farm, echo ledge farm inn, travel, getaways, Echo ledge Inn, Echo, Ledge. Northeast Kingdom Vermont, Northeast, Kingdom, Vermont, VT, B&B, Bed & Breakfast, Bed & Breakfast, Gift Shop, Antiques, Tavern, Used Furniture, Snowmobile Access, Private Baths, Free High Speed Internet access, Snowmobile trails, Snowmobile, trail, parking, access, VAST, Vermont Association of Snow Travelers, system, Verde, Mont, Verde Mont, picnic, basket, route two, route, two, 2, northern, New England, USA, United States, United States of America, country, rural, adventure, scenic, Maple, Grove, Maple Syrup, Farms, photography, views, convenient, travel, info, information, website, web site, web, site, sites, farming, fishing, ski-doo, skidoo, skimobile, trailer, bath, shower, heated, warm, barn, barns, Inns, Inn, country inns, accommodations, lodging, antiques, St. Johnsbury, ski, breakfast, package, packages, getaway, skimobile, bed and breakfast, echo ledge farm, echo ledge farm inn, travel, getaways, Echo ledge Inn, Echo, Ledge. Northeast Kingdom Vermont, Northeast, Kingdom, Vermont, VT, B&B, Bed & Breakfast, Bed & Breakfast, Gift Shop, Antiques, Tavern, Used Furniture, Snowmobile Access, Private Baths, Free High Speed Internet access, Snowmobile trails, Snowmobile, trail, parking, access, VAST, Vermont Association of Snow Travelers, system, Verde, Mont, Verde Mont, picnic, basket, route two, route, two, 2, northern, New England, USA, United States, United States of America, country, rural, adventure, scenic, Maple, Grove, Maple Syrup, Farms, photography, views, convenient, travel, info, information, website, web site, web, site, sites, farming, fishing, ski-doo, skidoo, skimobile, trailer, bath, shower, heated, warm, barn, barns, Inns, Inn, country inns, accommodations, lodging, antiques, St. Johnsbury, ski, breakfast, package, packages, getaway, skimobile, bed and breakfast, echo ledge farm, echo ledge farm inn, travel, getaways, Echo ledge Inn, Echo, Ledge. Northeast Kingdom Vermont, Northeast, Kingdom, Vermont, VT, B&B, Bed & Breakfast, Bed & Breakfast, Gift Shop, Antiques, Tavern, Used Furniture, Snowmobile Access, Private Baths, Free High Speed Internet access, Snowmobile trails, Snowmobile, trail, parking, access, VAST, Vermont Association of Snow Travelers, system, Verde, Mont, Verde Mont, picnic, basket, route two, route, two, 2, northern, New England, USA, United States, United States of America, country, rural, adventure, scenic, Maple, Grove, Maple Syrup, Farms, photography, views, convenient, travel, info, information, website, web site, web, site, sites, farming, fishing, ski-doo, skidoo, skimobile, trailer, bath, shower, heated, warm, barn, barns, Inns, Inn, country inns, accommodations, lodging, antiques, St. Johnsbury, ski, breakfast, package, packages, getaway, skimobile, bed and breakfast, echo ledge farm, echo ledge farm inn, travel, getaways, Echo ledge Inn, Echo, Ledge. 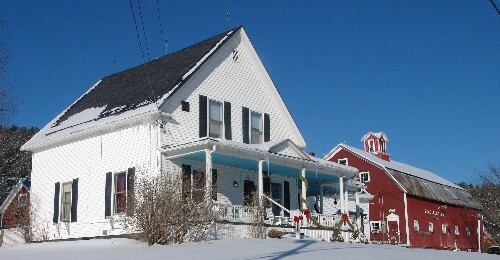 Northeast Kingdom Vermont, Northeast, Kingdom, Vermont, VT, B&B, Bed & Breakfast, Bed & Breakfast, Gift Shop, Antiques, Tavern, Used Furniture, Snowmobile Access, Private Baths, Free High Speed Internet access, Snowmobile trails, Snowmobile, trail, parking, access, VAST, Vermont Association of Snow Travelers, system, Verde, Mont, Verde Mont, picnic, basket, route two, route, two, 2, northern, New England, USA, United States, United States of America, country, rural, adventure, scenic, Maple, Grove, Maple Syrup, Farms, photography, views, convenient, travel, info, information, website, web site, web, site, sites, farming, fishing, ski-doo, skidoo, skimobile, trailer, bath, shower, heated, warm, barn, barns, Inns, Inn, country inns, accommodations, lodging, antiques, St. Johnsbury, ski, breakfast, package, packages, getaway, skimobile, bed and breakfast, echo ledge farm, echo ledge farm inn, travel, getaways, Echo ledge Inn, Echo, Ledge.